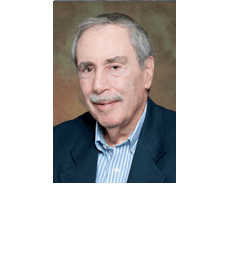 Martin J. Gruber is Professor Emeritus and Scholar in Residence at the Leonard N. Stern School of Business of New York University where he previously served as Professor of Finance for 45 years. He is a director and a member of the investment committee of the National Bureau of Economic Research. He is a fellow of the American Finance Association, the Financial Management Association, and the Institute for Quantitative Research in Finance. He is past president of the American Finance Association and served as Finance Department Chairman at NYU for nine years. The ninth edition of his book, Modern Portfolio Theory and Investment Analysis, is one of the leading texts in graduate schools of business. In addition, he has published six other books in investment analysis and portfolio management. Professor Gruber has written over 100 articles which have appeared in the Journal of Finance, Review of Economics and Statistics, Journal of Financial Economics, Journal of Business, Management Science, Journal of Financial and Quantitative Analysis, Operations Research, Oxford Economic Papers and the Journal of Portfolio Management. A collection of his pre-1996 articles has been published as a two-volume anthology by The MIT Press entitled Investments. A collection of his post-1996 articles has been published by World Scientific Publishing Company. He was formerly co-managing editor of the Journal of Finance, Department editor for Finance of Management Science, a member of the Advisory Board of the European Finance Review and an Associate Editor of the Journal of Banking and Finance. He has been a director of both the Computer Applications Committee, and the Investment Technology Symposium of the New York Society of Security Analysts, and an Associate Editor of the Financial Analysts Journal. He has also been a director of the European Finance Association and a founding member of the Asian Finance Association. Professor Gruber was named a distinguished scholar by the Eastern Finance Association, has received the Graham and Dodd Award for research in investments and in 2004 was awarded the prestigious James R. Vertin Award by AIMR in recognition of his research notable for its relevance and enduring quality to investment professionals. He has served as a consultant in the areas of investment analysis and portfolio management with many major financial institutions in the United States, Asia, and Europe. Professor Gruber has been a Director of the Singapore Equity Fund Inc., The Thai Equity Fund and chairman of the board of the Japan Equity Fund Inc. He has been chairman of the Equity Committee and a member of the DWS Mutual Funds New York Board. He has served as a member of the board of trustees of TIAA, a member of the board of CREF, chairman of the board of CREF, and a member of the board of the S.G. Cowen Funds. Professor Gruber holds an S.B. degree in Chemical Engineering from MIT and both an MBA in Production Management and a Ph.D. in Finance and Economics from Columbia University. He also was awarded the degree of Docteur "honoris causa" by the University of Liege, Belgium.